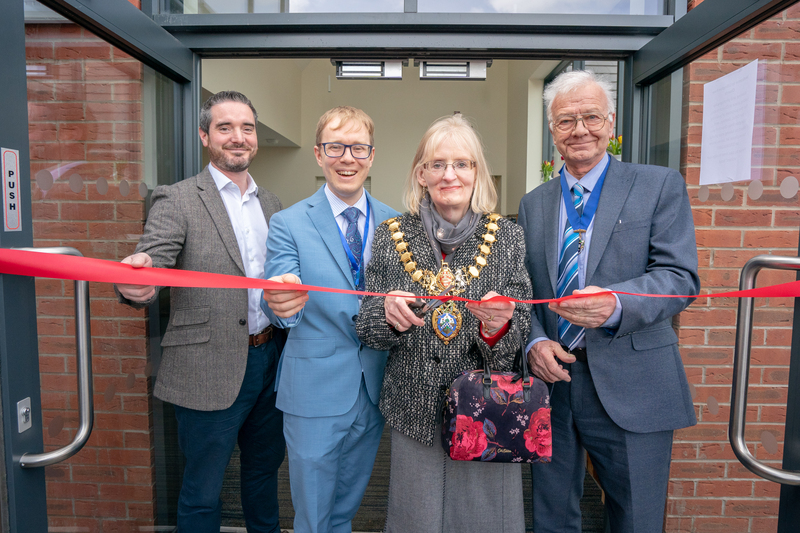 Lillington Free Church has been officially opened by the town’s mayor following the demolition of the previous building to make way for a new purpose-built church building and 25 affordable homes to meet the needs of the local community. 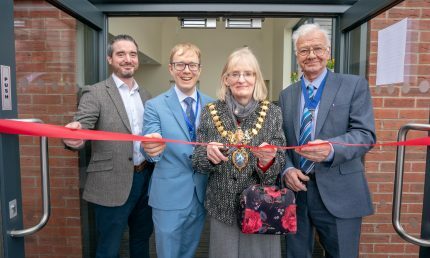 Councillor Heather Calver, the Mayor of Royal Leamington Spa was joined by over 130 people from the local community alongside representatives from Orbit for the ribbon-cutting ceremony and open day event. 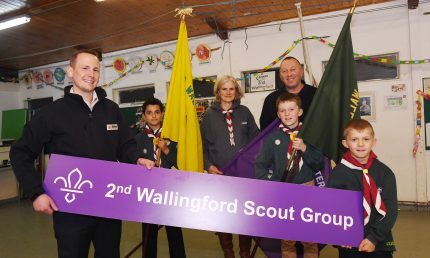 Commenting on the success of the event, she said: “I was delighted to be involved in the ceremony to open the new church. The design and build is truly beautiful, and it provides a real asset to our community”. 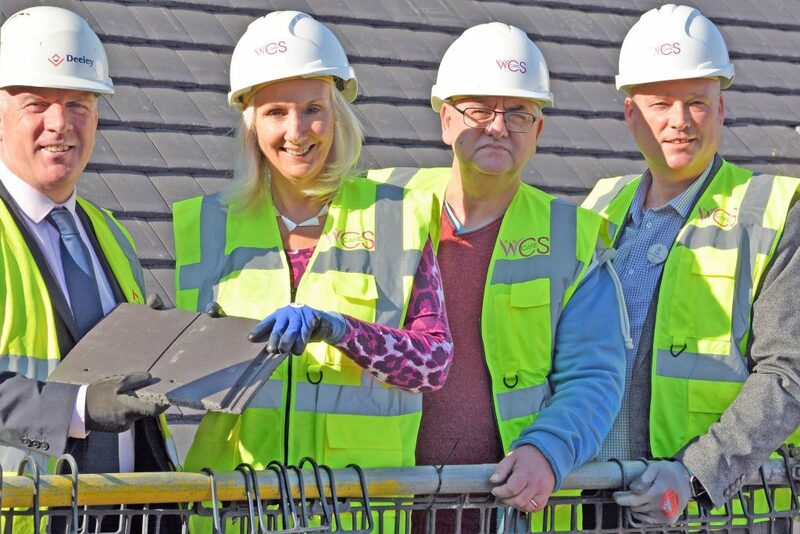 Reverend James Church, said: “The success of this development is down to the great partnership working with Orbit and its contractors Deeley Construction. 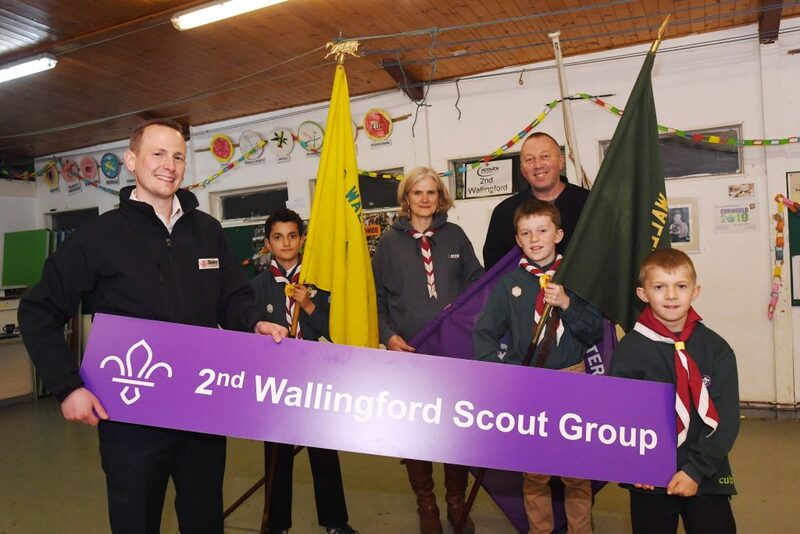 We were involved from the initial planning stages to ensure what we have created is exactly what the local community needs and wants. 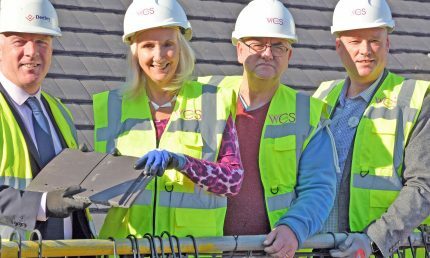 The development also includes 25 new affordable homes comprising of 7 three-bedroom and 12 two-bedroom houses as well as 3 two-bedroom and 3 one-bedroom flats, all available for shared ownership, due to be completed by the end of the year. 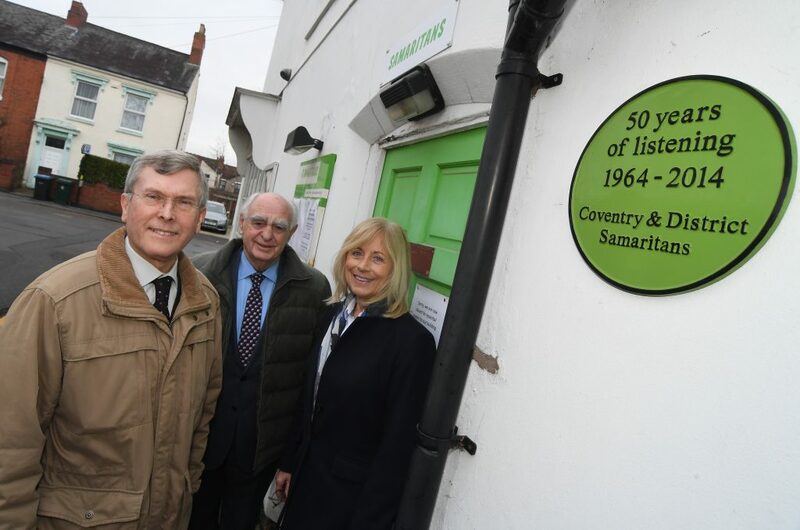 Bob Hodgkiss, Site Manager at Deeley Construction, added: “We are very pleased to have completed this project in partnership with Orbit and Lillington Free church. Orbit has invested over £4 million into the development including £625,000 of funding granted by Homes England. Around 500 cyclists achieved a hat-trick of aims as the city’s Starley Sportive helped raise around £13,000 for charity. 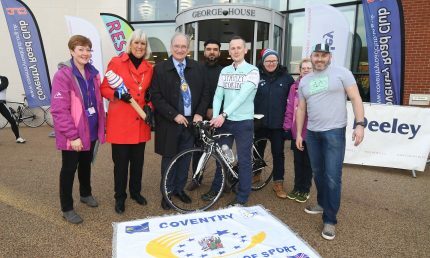 The sportive – named after the Coventry men who invented the modern bicycle – was one of the first mass participation events celebrating the city’s 12 months as European City of Sport. Riders, who set off from the headquarters of Coventry firm Deeley Group on Coventry Business Park took on one of three courses – a 28.6 mile route, a 63.2 mile long-distance ride, or an epic 86.5 mile challenge – in the event’s biggest ever field. This year riders who took part in the event, which was organised Coventry Road Club, and supported by property company Deeley Group, raised money for a wide range of charities but Zoe’s Place Baby Hospice was the official charity for the day. 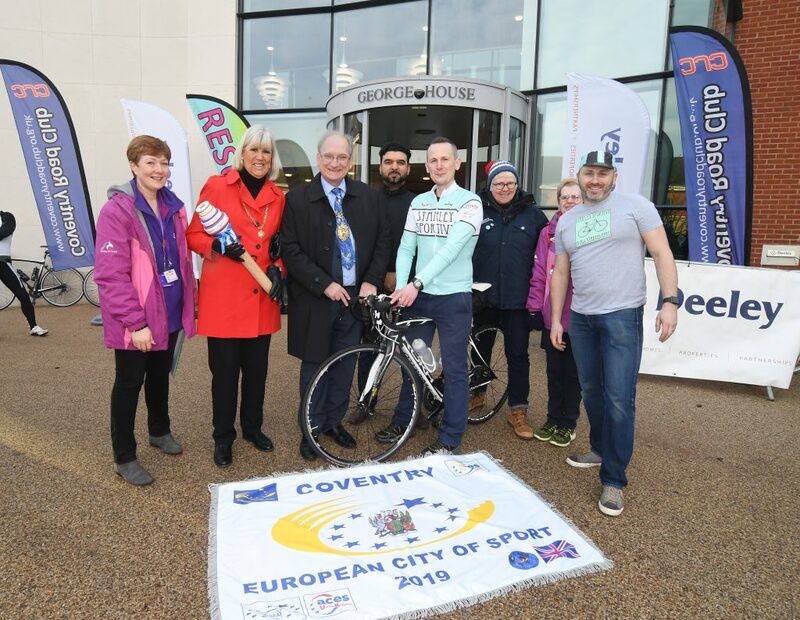 Ian Court, Race Secretary at Coventry Road Club, said the event had been a real celebration of the reasons why Coventry was European City of Sport. “This was a mass participation event in every sense. We had some very good riders who did the longest course, while others just wanted to on a bike to help a good cause,” he said. This year’s event had been expanded to 500 and there was a waiting list, while some commemorative kit which was produced for the club had sold out. 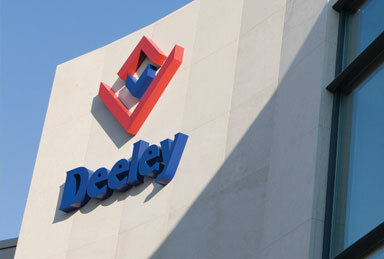 Edward Hudson, Business Development Manager at the Deeley Group, said: “The day could not have gone better. The weather was really kind to the riders, we had great help from a huge number of volunteers and everyone came back with smiles on their faces and gave great feedback from the event. 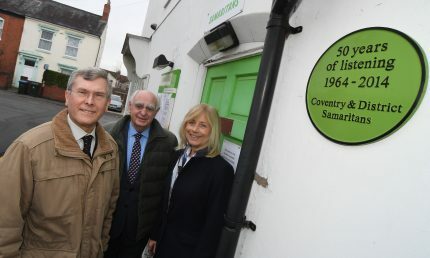 “This year is also Coventry’s Year of Wellbeing, and the event underlined just how important exercise is in helping people say fit physically and mentally. The race was stared by Lord Mayor Councillor John Blundell and BBC Coventry and Warwickshire’s Vic Minnett. Coventry City Councillor Kamran Caan, Cabinet Member Public Health and Sport, was also there to see the riders on their way. A Coventry construction worker has been honoured with an annual award in his last act before retirement. 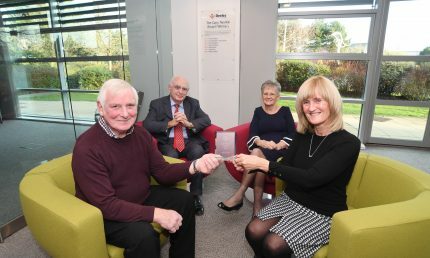 The Gary Neville Award was created in 2012 in tribute to the former Deeley Group contracts manager and is voted for by employees of the company. Site operative Billy Griffith has become the seventh recipient of the Gary Neville Award in his final year working for the Deeley Group. 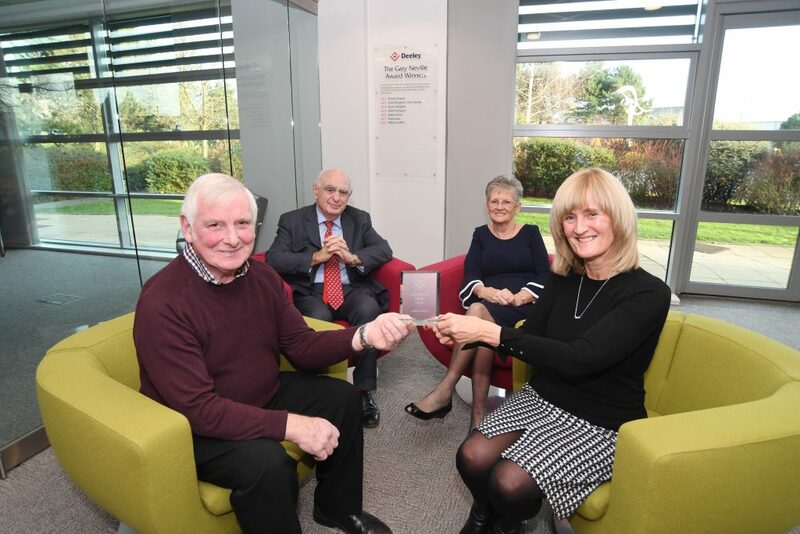 Billy said: “This is certainly a great way to sign off my 35 year association with the Deeley Group and I’m very honoured to have received this award. “I have had the pleasure of working alongside a lot of great people during my time with the firm and to know that your colleagues voted for you makes it all the more special. “Gary was a well-respected colleague who I worked with for many years and this award is fitting tribute to him and his legacy. The award honours Gary Neville, who joined the company as an apprentice and went on to lead some of the firm’s major projects, including the development of Belgrade Plaza. Gary passed away in 2011 and the awarded is presented to the employee who has displayed the most commitment to their role over the past year. Peter Deeley, managing director of Deeley Group, said: “Billy received widespread praise from his colleagues, reflecting the values we have at the Deeley Group. “Over the past seven years everyone at the company has embraced the award, as each year we remember Gary and the vibrant, popular man that he was. “During his time working for the firm, Billy has carried himself with great integrity and built a respect amongst his colleagues. “His strengths were his multi-disciplinary skillset gave him the ability to complete any task asked of him, but more importantly he was reliable.